Those of you who love all things beauty related, will I’m sure be familiar with the concept of beauty subscription boxes. There’s a number of them out there and they’ve been around for a while, but exciting news! There is something new on the scene, not just another beauty box no, but a whole new beauty concept in the shape of Beauty Pie, as featured in this month’s Vogue. 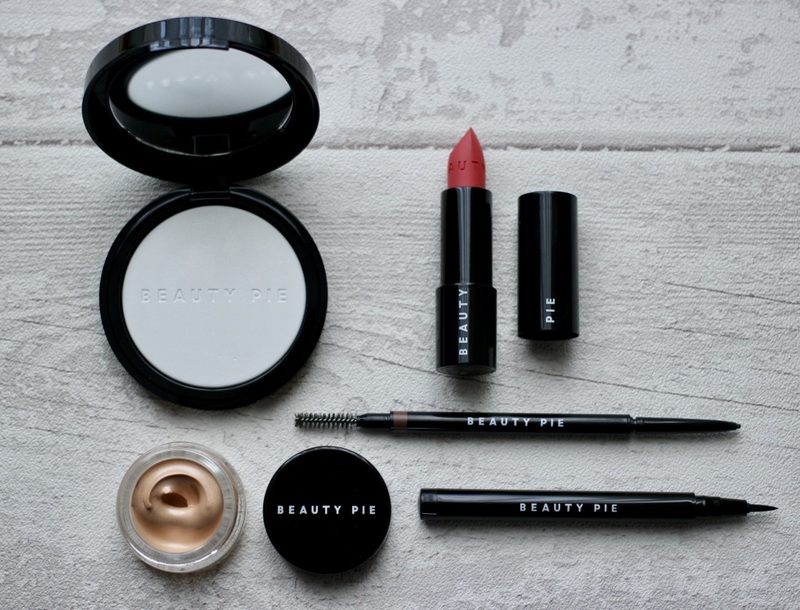 Already available in the US, Beauty Pie launched in the UK on 8 December and instantly became my latest beauty discovery. It’s a revolutionary new concept in beauty, quite simply it’s beauty without the mark-up. The mind behind the concept is the lady who launched Soap & Glory and Bliss Spa: Marcia Kilgore. She has potential to revolutionise the face of beauty with her new venture which is on a mission to bring to its members, the world’s best beauty products at totally transparent factory costs, no mumbo-jumbo, no middle men and as already stated no mark-ups! Yes you heard correct, factory costs and no mark ups!! To be in this cost price club you will have to sign up to become a member here and pay a monthly fee of £10 for a minimum of three months, after that you can cancel the membership if you don’t feel it’s for you. Kilgore wants Beauty Pie to be an online community that allows those who are obsessed with make-up (me, me, me!) to buy great formulas without the big prices. Those who don’t want to join can still buy the make-up, but at premium prices, so if a lipstick costs members £3.43, non-members will have to pay £20. If you do become a member, a mascara could end up costing you as little as £1.87 and a lipstick £3.43, yep you can update your makeup bag for less than the cost of your morning coffee. With a £10 membership you can buy up to £100 of makeup/cosmetics each month (in full price terms) at transparent factory costs. So including the £10 membership and the additional cost of the products, that’s roughly £30 (of course depending on what you purchase) a month for five high quality beauty products. Great if you need to replenish your make up bag or if you’re a beauty addict like me. A word of warning though, there is a transactional and postage fee which is added at the check out but for me, even with that included my purchases came to just over £19. There are a variety of products available for face, cheeks, eyes and lips. No nail polish collection at the moment but I’m hoping that will be launched soon. The foundations on offer come in a range of shades which I’m really impressed with. It shows thought has really gone into the collection and there is something for a variety of skin tones which is always so important to me. 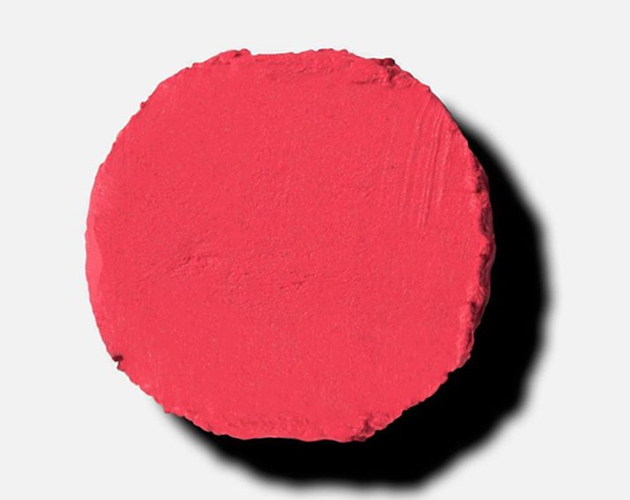 The Future lipstick in Power Up Pink, is a beautiful fushia-coral shade in a matte finish which glides on seamlessly, is super soft and has great pigment staying power. I find it very similar to MAC lipsticks in terms of texture and feel. 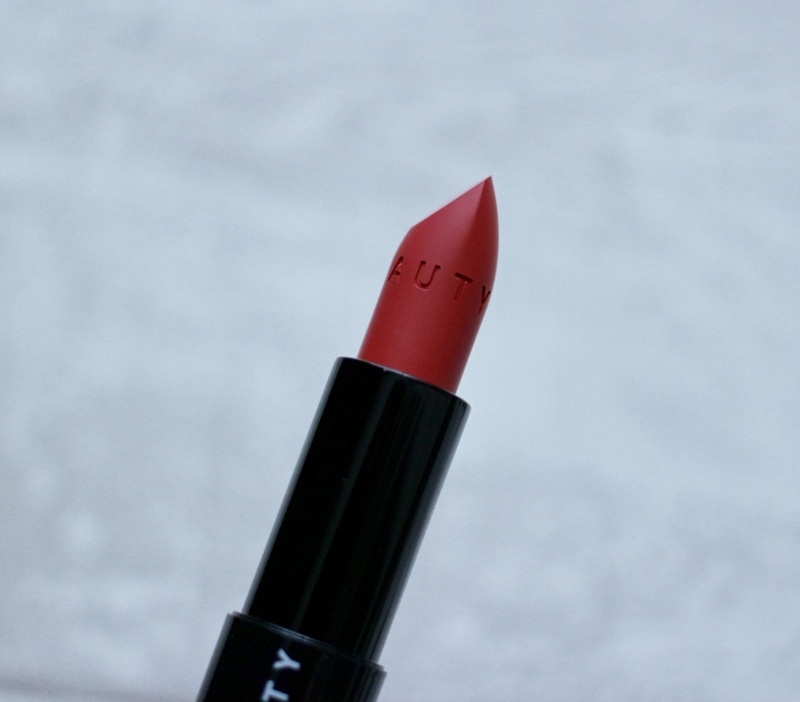 The shade is stunning; makes me feel Summery but it’s a great colour choice for all year round. The One Powder Wonder is amazing! It’s like MAC’s Prep + Prime Transparent Finishing Powder but in a pressed compact which is perfect for on the go, same effect just without the mess. Beauty Pie state it’s ‘not just another translucent powder……it’s a micro-fine, pretty-much invisible, naked-finish, shine-evening, flaw-blurring, radiance boosting one-powder wonder. It instantly blends makeup, disguises fine lines, hides large pores, protects against dehydration, boosts luminosity and, being ultra fine, never ever cakes (no matter how many times you apply it). Probably the best skin-boosting powder ever.’ Pretty bold claims I know, but the powder really does do all of the above. I apply it lightly over my foundation to set it and it’s so handy for reducing shine during the day too. My absolute favourite is the Triple Beauty Liquid Luminizer. This is a brilliant highlighter with a luxe creamy texture. It gives the perfect luminous glow, no huge chunks of glitter or shimmer and nothing too shiny shiny, just a gorgeous natural, healthy glow all in a pot which can easily be popped into your handbag. I like dabbing this on the areas I want to highlight, it blends in like a dream and sometimes I just mix it with my moisturiser or foundation for a healthy all over glow. 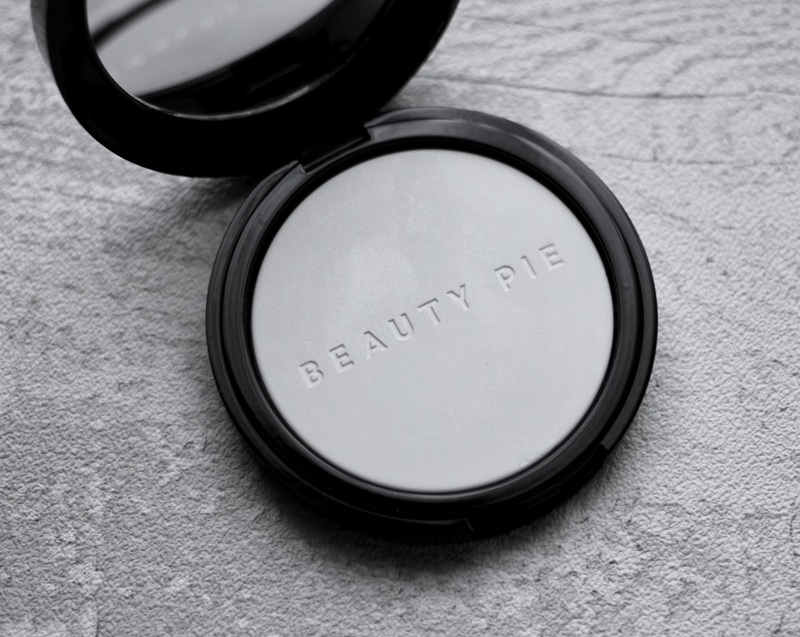 Beauty Pie offers customers full disclosure on how much money has been spent on packaging and formulations, as well as providing a list of ingredients and if you copy and paste those ingredients into Google, you’ll see a list of other similar (and pricier) products. If you’re really into your brands and you’re obsessed with luxe brands and their packaging then Beauty Pie’s own brand may not be for you. However I love my luxe beauty brands, but I’ve been really impressed with what I’ve seen so far from Beauty Pie. 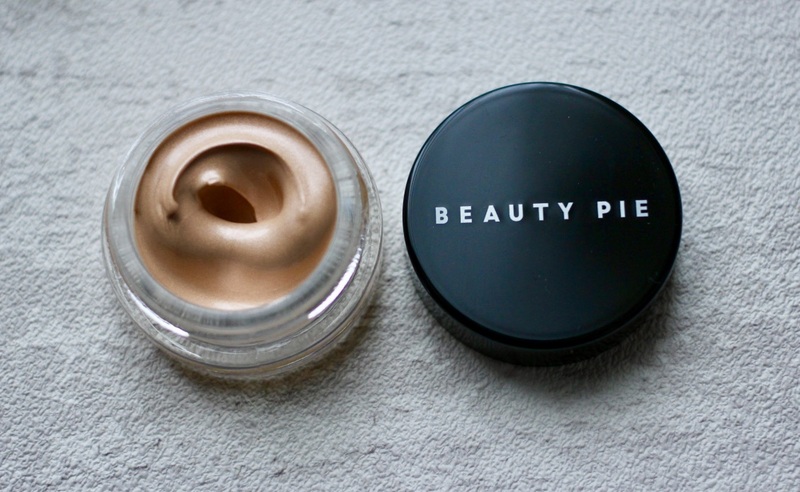 Although Beauty Pie use monochrome packaging to keep costs down, I found the packaging is of a good quality, nothing feels flimsy or cheap and I quite like it as it reminds me of the Bobbi Brown packaging. The brand has said that in the future it hopes to be able to recreate looks straight from the red carpet by creating exact lipsticks and eyeshadows worn by celebrities within six to eight weeks. So that glamorous red lipstick you see Taylor Swift sporting, it could be all yours for just a few pounds! Are you tempted to give Beauty Pie a go? *This is not a sponsored post. All products have been bought with my own money and all opinions are from my own experiences of the products.